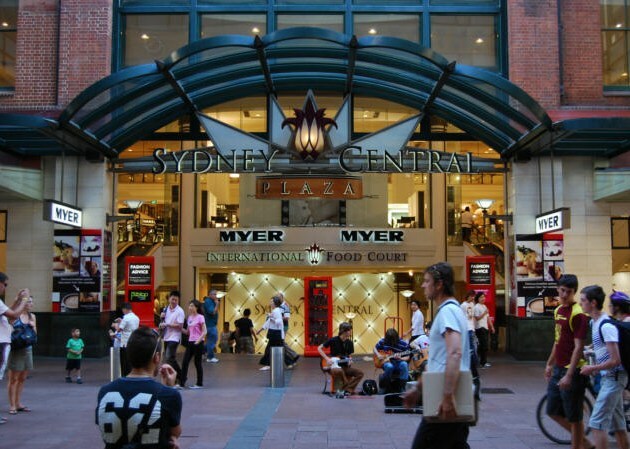 Photo: Shopping in Sydney - Find Bargains in the City at the Pitt Street Mall - Photo: Sydney Central Plaza. Sydney offers world class shopping centres, designer boutiques, department stores and speciality shops. Map links show city shopping areas and places to go. 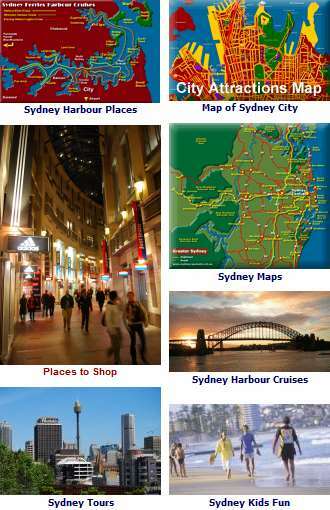 See the city centre Shopping District on the map: Shopping in Sydney City with places to shop marked with purple icons. Places to shop in the Central Business District CBD are located within easy walking distance to each other, but there are other major shopper paradise centres in the outer suburbs such as MacArthur, Chatswood, Parramatta and Penrith. The beachside suburbs also have their own collections of speciality shops as well as everything else, more suited to Sydney’s relaxed beach culture, much in contrast to its more serious business side. Pitt Street in the city centre has a great collection of stores and shopping arcades, including the Strand, Centrepoint, the Skygarden and the Glasshouse. The Strand Arcade, originally built in 1892, is a beautiful old arcade with ornate wrought iron lace balconies and was the last of the Victorian age arcades built in Sydney. There was a fire in 1976 that had almost destroyed the whole building, but the shopkeepers got together and had it fully faithfully restored to its original design. You’ll find clothing, jewellry and accessories and gourmet food speciality shops. Both Skygarden and the Glasshouse have upmarket shops, with an excellent range of up to 250 fashion, food and lifestyle stores. All integrated into the Westfield Sydney. 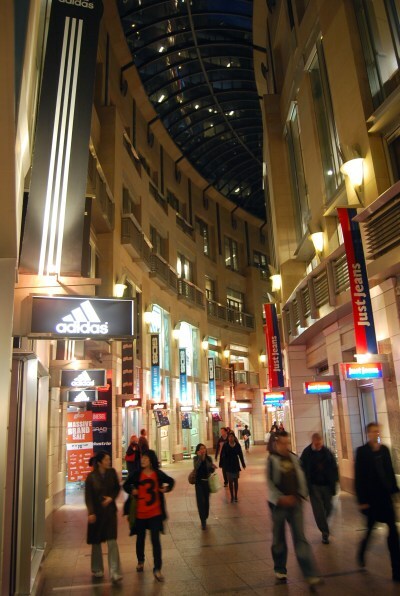 Grace Brothers, at the corner of Market and George Streets, and David Jones at Market and Castlereagh Streets have excellent department stores with select products from Australia and the world. The Rocks Market, located in the Rocks Historical District, has a wide selection of antiques, art, fashion and souvenirs and indigenous arts and crafts. There is also a collection of bookstores that cater to almost every taste and an even wider range of speciality shops. Entertainment and events are often held there and is only a short walk away from the Sydney Opera House. The Rocks. See The Rocks on the map: The Rocks and Circular Quay Map. Sydney Chinatown, at the south end of the CBD and centered around Dixon St. offers not only excellent Chinese and Asian foods, but has all kinds of Asian speciality shops. See more about Sydney Chinatown - Spanish Quarter and Haymarket. Map of Sydney Center South. Here you will find many of the international designer stores, including Bvlgari, Cartiers, Percy Marks, and Chanel for jewellry and Emporio Armani, Gucci, Hermes and R.M. Williams, amongst others, for clothes. Recognised as a Grand Old Dame of Sydney, the Queen Victoria Building was built in the late 1800s with a majestic Romansque dome covered with copper and four levels of shops. Restored to its original former glory in 1986, it now has contemporary fashion, art, antiques, jewellry, accesories, shoes, duty-free and plenty of eateries and cafe’s on six levels. There is even a historical tour available from the information desk, twice daily. Located on the corner of George and Druitt streets. Chifley Plaza, located at 2 Chifley Square. Has stylish Australian and overseas fashion boutiques, gift stores, gift and beauty stores, food court and other eateries. The latest addition to Sydney’s shopping scene, The Galeries Victoria is an enclosed street scene with some very interesting architecture and the latest local and overseas street fashion. Mooks, Messini disimor and MNG, as well as Polo Jeans and Mecca Cosmetica have stores here, amongst others. Within a restored heritage listed building is the Arthouse Hotel. Opposite the Queen Victoria Building at 500 George St. Located in the beautifully restored Sydney GPO Building on the corner of George Street and Martin, below the GPO Clock Tower. Has numerous fashion boutiques as well as restaurants, cafes and bars. There is a post office (of course) and an interesting collection of historical colonial artifacts at the Tank Stream Exhibit. Located in the old Grace Bros department store building on Broadway is the Broadway Shopping Centre, now with 12 Hoyts cinemas and over 120 specialty stores. Lots of cafe’s and eateries including an international food court. Suggested Reading about the Sydney Shopping Experience: Sydney Style and Fashion or Sydney Markets. Two more great places to shop on this continent - Melbourne and the Queensland Gold Coast. See about working in Sydney - Work in Sydney. It may also possible to work while studying here: Study in Australia. For more about Sydney hotels, motels and other accommodation Sydney Hotels and Accommodation. Photo: Night Shopping in the City is still growing in popularity. Photo: The Galeries Victoria.